Several people with knowledge of the matter reported that International Business Machines Corp. reached an agreement to pay a total of $1.5 billion to Globalfoundries for the acquisition of its semiconductor business. 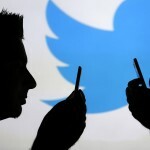 The deal between the two companies is expected to be officially announced in the U.S. early on Monday. 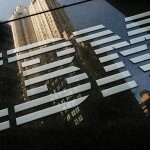 IBM also hinted about the deal, saying that it intended to make a “major business announcement” on Monday. The people close to the situation, who asked not to be identified because the agreement is still not public, said International Business Machines is to receive $200 million worth of assets, which leads to a net value of the deal of $1.3 billion. International Business Machines was forced to consider selling the unit due to large expenses of upgrading the equipment and manufacturing processes of the chip-making operations. IBM’s Chief Executive Officer, Ms. Ginni Rometty, managed to strike a deal to dispose of the company’s chip-manufacturing operations, which have been unprofitable and a burden to IBM’s earnings. Globalfoundries, owned by the government of Abu Dhabi, is to acquire the unit in order to expand its reach in semiconductor design and manufacturing businesses. According to the people familiar with the process, the U.S.-based company has initially hoped to sell its unprofitable chip-making business at the price of at least $2 billion. The negotiations with Globalfoundries lasted for several months and were marked by disagreements over the deal’s financial terms. The two companies also had difficulties in agreeing on the intellectual property rights related to the chip business. As one of the sources said, under the terms of the deal Globalfoundries is to acquire the major manufacturing factory of IBM located in Fishkill plus a smaller factory based in Vermont. 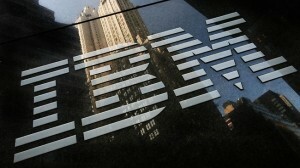 In addition, more than 5 000 of the IBM’s workers will be transferred to the plants’ new owner after finalizing the deal. The two parties also agreed on a supply contract over the next 10 years. 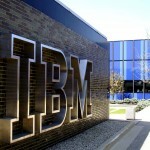 Both IBM and Globalfoundries declined to make any comments. International Business Machines Corp. was 1.23% up to close at $182.05 per share on Friday, marking a one-year increase of 4.13%. The company is valued at $181.61 billion. According to CNN Money, the 21 analysts offering 12-month price forecasts for International Business Machines Corp. have a median target of $195.00, with a high estimate of $225.00 and a low estimate of $160.00. The median estimate represents a +7.11% increase from the last price of $182.05. Author: Elmira Miteva Elmira is engaged with monitoring and presenting the latest news, reports and fundamental indicators regarding the largest and most renowned corporate structures worldwide.